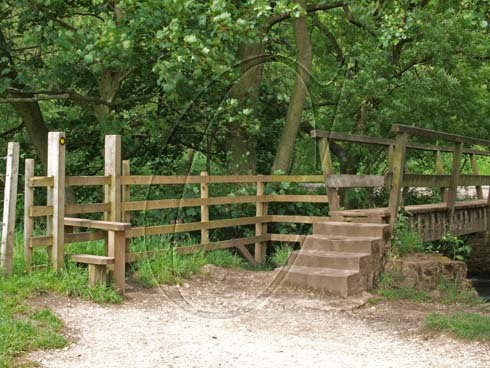 Stile next to a bridge over the river Dove in Dovedale in Derbyshire. Dovedale is part of the Peak District National Park (214 sq miles) that was created in 1951. It was the first National Park in Britain.